Beitr. Sukkulentenk. Sukkulentenpflege 1942, 38 (1942); cf. Gray Herb. Card Cat. 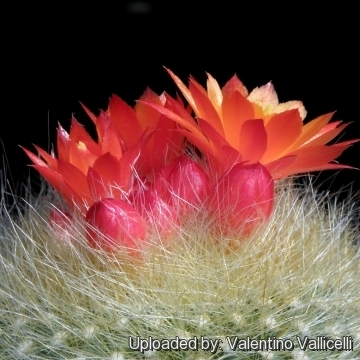 It is a very popular cactus with silvery white spines. It is a heavy bloomer that can sport showy deep orange flowers for a long period of time. 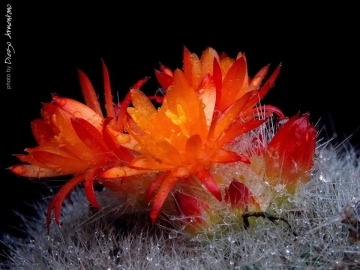 Origin and Habitat: Parodia haselbergii is endemic to Brazil, where it occurs in Rio Grande do Sul and Santa Catarina. Altitude range:* 200 to 1,500 metres above sea level. Habitat and Ecology: This species grows on rocky outcrops, in grasslands or pampas, on plains and walls. Generation length is 10 years. Parodia haselbergii has a relatively wide range, but several subpopulations have been extirpated. The major threats are grazing, agriculture, and dam development, and they continue to affect the subpopulations. The species is used as an ornamental in specialized international collections, but specimens are not collected from the wild. Some local extraction exists, but this is not a major threat. 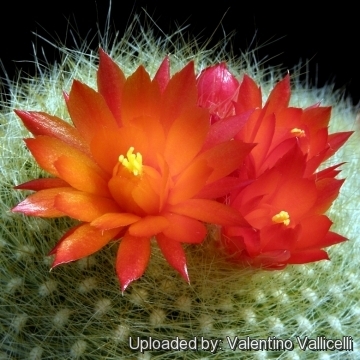 Brasilicactus graessneri var. flaviflorus Backeb. 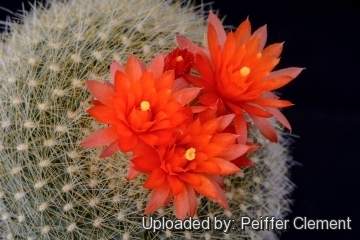 Description: Parodia haselbergii (Notocactus haselbergii) is a solitary, fast growing, little cactus. Two subspecies are recognized, the nominate and subsp. graessneri (K.Schum.) Hofacker & P.J.Braun. Stem: Spherical more or less flattened, bright green, almost completely concealed by dense spines, up to 10 cm tall, 15 cm in diameter. The crown of the plant is usually set at an angle to prevent water-sitting. Areoles: With a short white wool, they are arranged geometrically. Spines: Silvery white, eventually with a yellowish tip, soft, bristly. Flowers: Bright orange to brick-red up to 2 cm wide and each can last one to three weeks. Blooming season: It flowers at the end of the winter or in early spring for a long period of time (It can last blooming to two months!). Will start flowering around 5 cm in diameter. 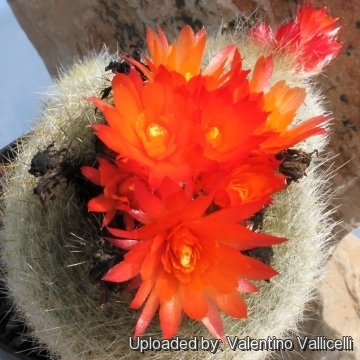 Brasilicactus graessneri var. flaviflorus Backeb. : has bright golden-yellow flowers. Parodia elachisantha (F.A.C.Weber) F.H.Brandt: (=Parodia haselbegii) Form with small flowers. 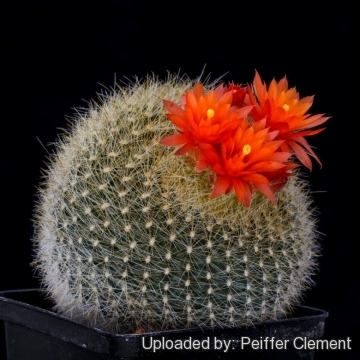 Parodia haselbergii (Rümpler) F.H.Brandt: has about 20 radial spines and yellowish red to orange-red flowers. Parodia haselbergii var. albiseta (Cullmann) Trager: has pure white spines. Parodia haselbergii f. cristata: crested cactus with silvery white spines. It is a heavy bloomer that can sport showy deep orange flowers for a long period of time. Parodia haselbergii subs. graessneri (K.Schum.) Hofacker & P.J.Braun: has as many as 60 radial spines and small yellowish green flowers. Distribution: Rio Grande do Sul, Brazil. Parodia haselbergii subs. graessneri cv. Orange Flower: has unusual orangish coloured frowers. 4) Larocca, J. & Machado, M. 2013. Parodia haselbergii. The IUCN Red List of Threatened Species 2013: e.T152876A689526. . Downloaded on 27 February 2016. 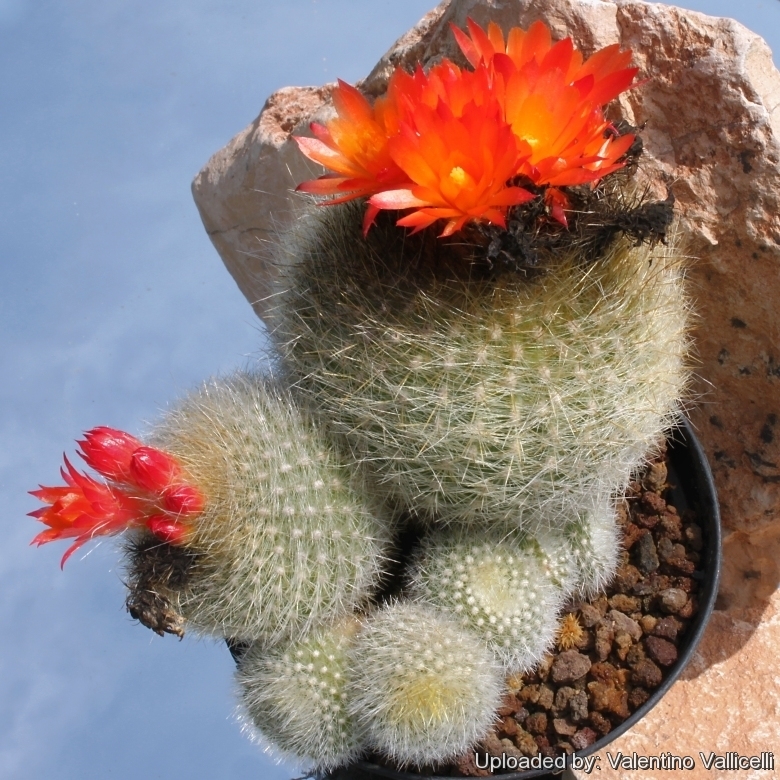 Cultivation and Propagation: Parodia haselbergii is an easy to grow tropical cactus. Soils: It prefers a neutral to slightly acidic mineral-based potting mix with a good drainage. Watering: It can support quite some water during the growing season, but do not overwater (Rot prone). Pot plants in winter are wet-sensitive and need to be kept dry (rots easily if soil is wet and cold) tend to lose their roots in winter. Best if watered with rain water. Hardiness: Usually it is recommended to over-winter this plant in a bright and warm greenhouse with at least 8-10° C , but it has proved to tolerate temperatures as low as -5° C for short periods. Exposition: Outside bright but partially filtered sunlight or afternoon shade, inside it needs bright light, and some direct sun. Subject to sunburn if exposed to direct sun for too long. Tends to bronze in strong light, which encourages flowering and heavy wool and spine production. 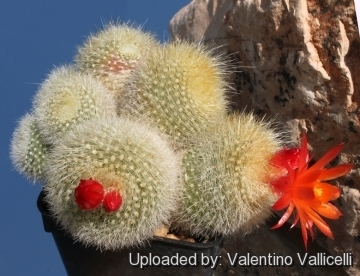 - Rot: Rot it is only a minor problem with notocacti if the plants are watered and “aired” correctly. If they are not, fungicides won't help all that much. Propagation: Division, direct sow after last frost. Seeds germinate in 7-14 days at 21-27° C in spring, remove the glass cover gradually as the plants develops and keep ventilated, no full sun for young plants! To make a cutting twist off a branch and permit it to dry out a couple of weeks, lay it on the soil and insert the stem end partially into the soil. Try to keep the cutting somewhat upright so that the roots are able to grow downward. There are a total of 15 Photos.